I'm a freelance action, travel, and nature photographer based out of Denver, Colorado. I offer photography, video, & aerial services as well as workshops on nature and night photography. Through my travels I've also created educational material including eBooks & photography tutorials. Please use the contact page to reach me regarding prospective projects, image licensing, or workshops. Jason Hatfield’s childhood was spent surrounded by the corn and soy fields that stretch across the state of Ohio. While the flat farmlands of the Midwest are beautiful in their own right, Jason couldn’t wait for his family’s regular trips out west, where they’d spend weeks at a time camping and hiking through the likes of Yellowstone, Zion, Grand Canyon, and Rocky Mountain National Park. Part of the draw was the break from northwest Ohio’s scenic monotony — the thundering geysers at Yellowstone, the towering hills of Great Sand Dunes, a fiery sunset over the rim of the Grand Canyon, even the grizzlies of Denali National Park — but there was something deeper at play. Having grown up surrounded by land that was crisscrossed by farming roads and sectioned off by the acre, Jason discovered that it was wondrous to explore the outdoors in a place not structured by man. Over the past 34 years, his desire to explore more of these diverse landscapes has only intensified. 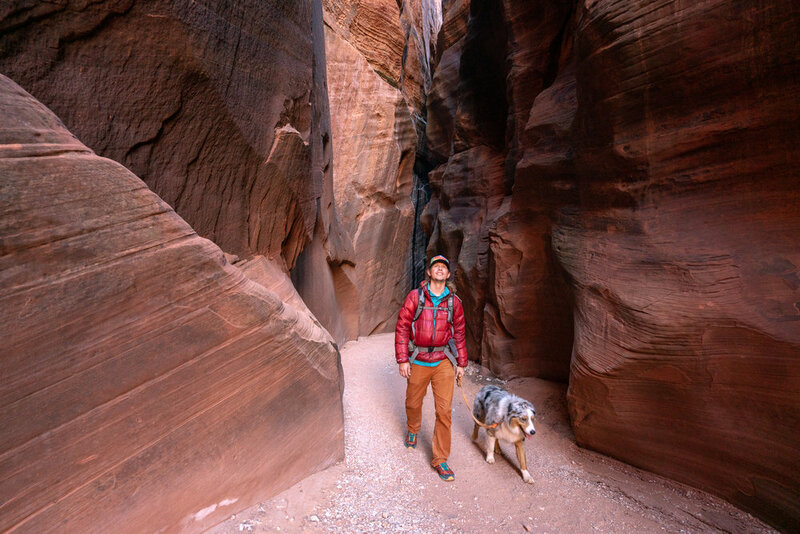 He’s visited 33 of the 60 national parks, and now that he’s older, his adventures therein have grown in intensity. Some of his favorite moments include running rim-to-rim through the Grand Canyon, backpacking in Denali with the eponymous peak dominating the skyline and an endless sea of blueberries stretching to the horizon, and seeing the Northern Lights over Hidden Lake in Glacier. And, with the diversity of the nation’s parks, these awe-inspiring moments just keep piling up. On a recent trip to Kenai Fjords, he and his wife were kayaking in front of a massive tidewater glacier when a quarter-mile piece of ice calved off right in front of them.